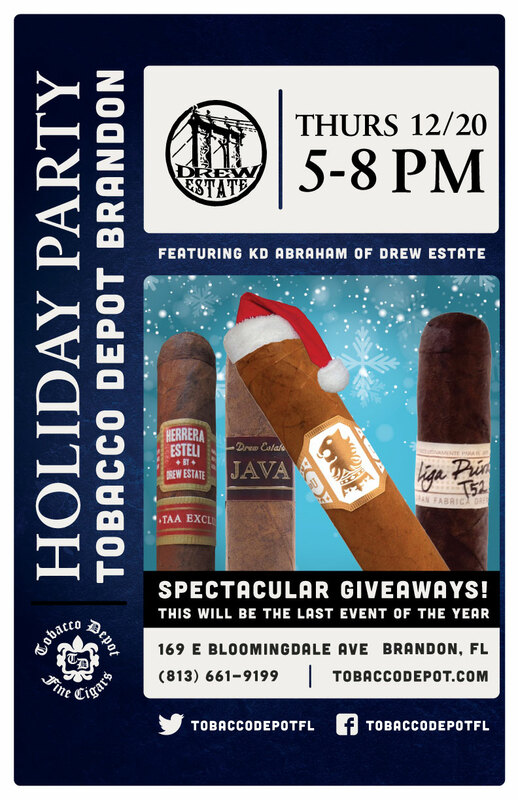 Score some Drew Estate Cigars for your holidays nights on Thursday December 20th from 5pm-8pm at Tobacco Depot Brandon. KD Abraham’s will be joining us for this last cigar event in Brandon for 2018. It should be a night to remember, we can’t wait to see you there!